Art and Judaism in the Greco-Roman World explores the Jewish experience with art during the Greco-Roman period - from the Hellenistic period through the rise of Islam. It starts with the premise that Jewish art in antiquity was a 'minority' or 'ethnic' art and surveys ways that Jews fully participated in, transformed, and at times rejected the art of their general environment. Art and Judaism focuses upon the politics of identity during the Greco-Roman period, even as it discusses ways that modern identity issues have sometimes distorted and at other times refined scholarly discussion of ancient Jewish material culture. Art and Judaism, the first historical monograph on ancient Jewish art in forty years, evaluates earlier scholarship even as it sets out in new directions. Placing literary sources in careful dialogue with archaeological discoveries, this 'New Jewish Archaeology' is an important contribution to Judaic Studies, Religious Studies, Art History, and Classics. 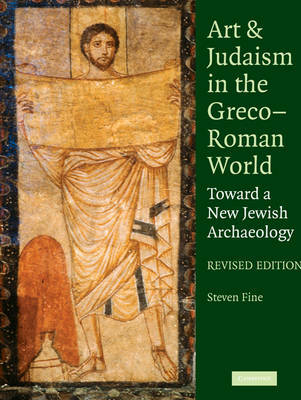 "Praiseworthy for its near encyclopedic coverage and its insights into the evolution of late antique material culture and theology, the book's supreme virtues reside in its humane and refreshing methodology....Steven Fine's Art and Judaism in the Greco-Roman World is both learned and lovable." -- Kalman Bland, Duke University .